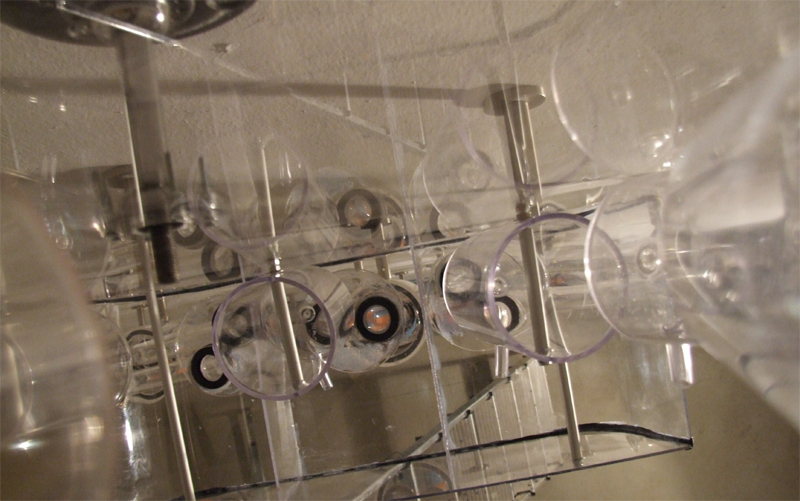 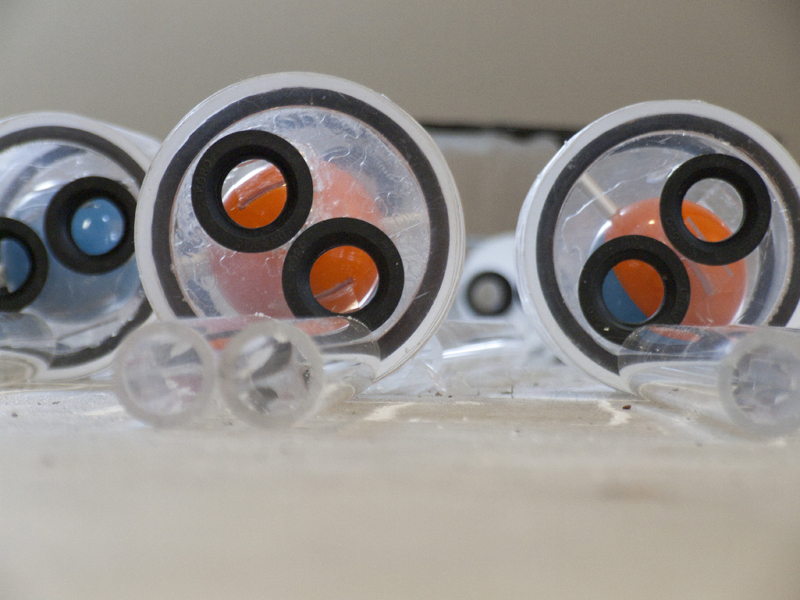 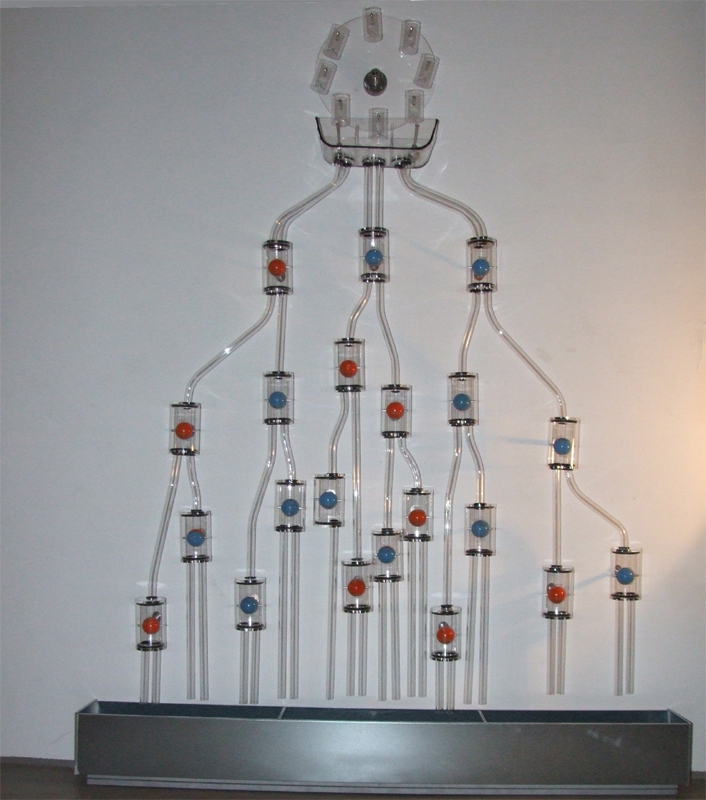 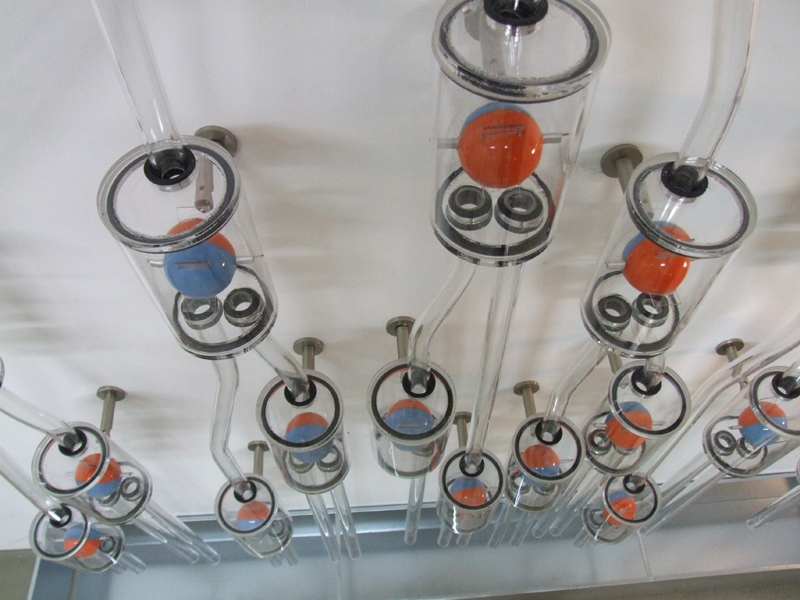 A waterdriven mechanical sculpture that works as a display for chaotic streams - with Jacobs University Bremen. 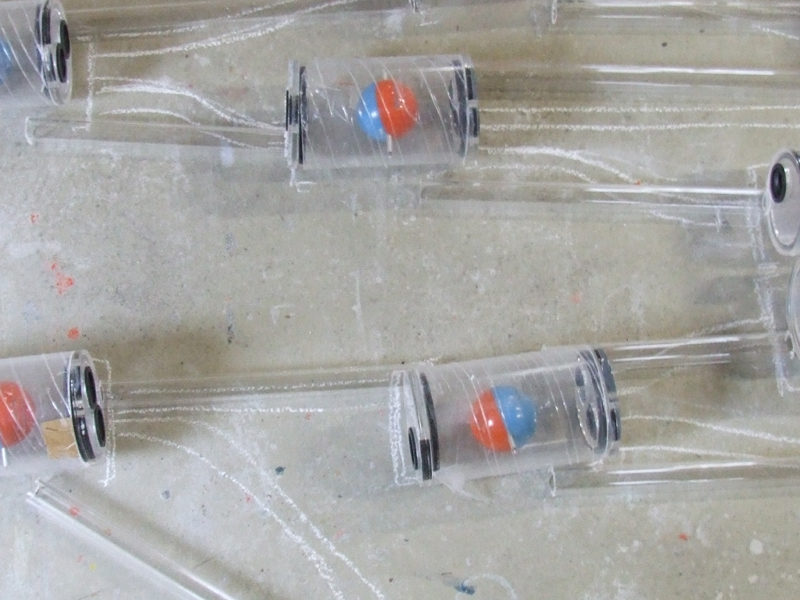 The Lorenz-Waterwheel turns regular influx (of water) into chaotic output. 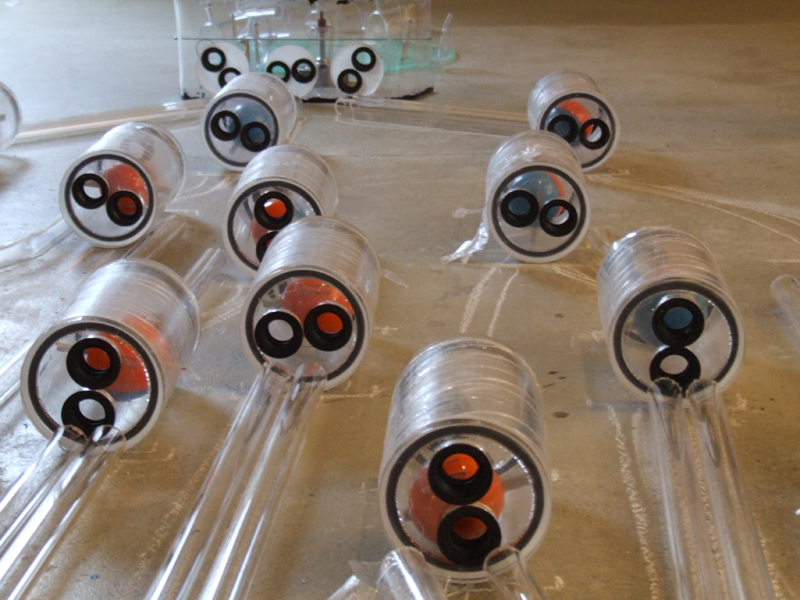 The water enters a network of tubes where it triggers small bi-coloured waterwheels - displaying chaotic streams and patterns.